As Sen. Elizabeth Warren (D-MA) tries to put her Native American heritage controversy to rest, another chapter in the scandal has just been written. It turns out, not only did the senator claim American Indian heritage at Harvard, she also claimed it when applying for the Texas State Bar in 1986. This latest revelation, published exclusively by the Washington Post, with documents and all, will undoubtedly keep this in the news for quite awhile. The discussion with the chief of the Cherokee Nation went beyond her controversial DNA test. 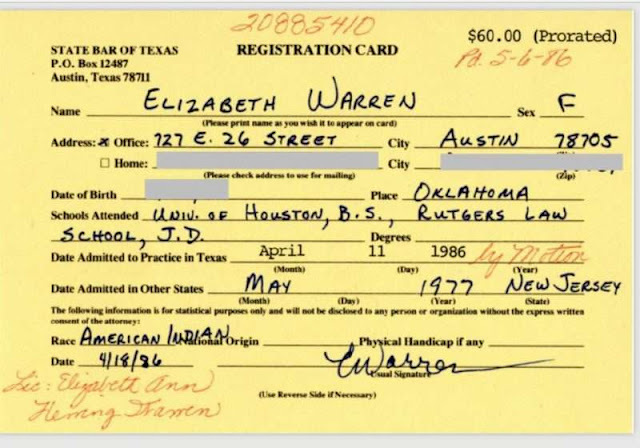 Warren printed, “American Indian” on the line for “race” on her Texas bar registration card. It is the first piece of evidence we have of her claiming Native American ancestry in handwriting. 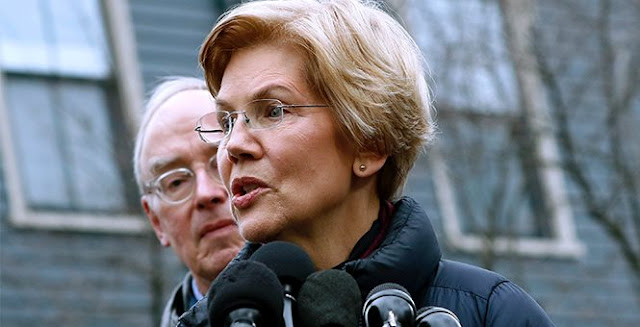 A few months back, Warren shared the results of a DNA test that proved she was 1/1,024th Native American. The Cherokee Nation called it "indefensible." Instead of backing down on her claims, she should have apologized. Well, she eventually got around to it last week. Perhaps she should just end her 2020 campaign now before it gets worse?